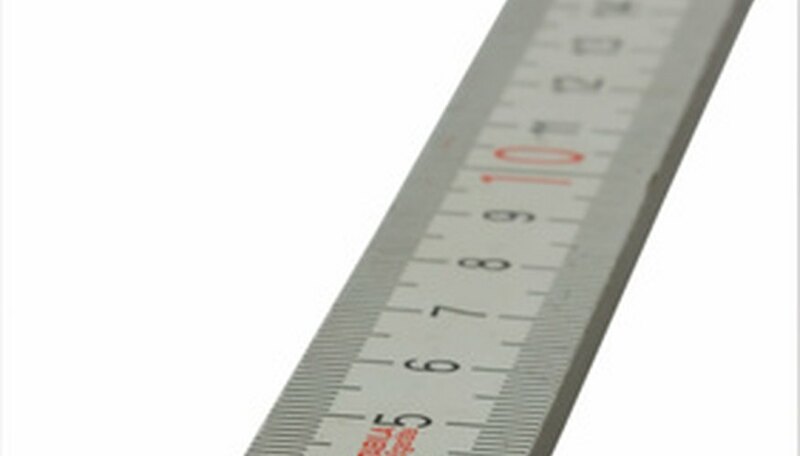 The inch is one of the standard units of measurement used in many countries, including the United States. In relation to other non-metric measurements, there are 12 inches in one foot and 36 inches in one yard. In order to convert inches into the metric system, you only need to perform a simple mathematical operation. Write down the number of inches you want to convert to the metric system. Multiply the number recorded in Step 1 by 2.54. Change the units on the result of Step 2 to centimeter. You can now convert easily between other metric units, including the millimeter (equal to 1/10th of a centimeter) and the meter (equal to 100 meters). Arn Goldman is a recent liberal arts grad interested in all things culture, both high and low. He writes about entertainment, tech and sports. Goldman received his B.A. in English and philosophy in 2009 and has written for eHow, Trails Travel and Answerbag. Goldman, Arn. "How to Convert Inches to the Metric System." Sciencing, https://sciencing.com/convert-inches-metric-system-6394845.html. 24 April 2017.